Buy BE THE MEDIA Now! David Mathison returned to Belmont University's New Century Journalism Program on February 28, 2011 to speak to students about how he started his business and got the idea to create HomeAid, a virtual event to benefit the homeless and those facing foreclosure. Mathison shared his experiences of traveling to New Orleans to help clean up and rebuild after Hurrican Katrina. He also talked about how social media is significant and how it increased the sales of his book Be The Media. So to emphasize the importance of using social media as a tool Mathison ecouraged students to use laptops, cell phones, and other electronics in order to post information on the web during his speech. David Mathison will be speaking at Belmont University's New Century Journalism program on Feb 28, 2011 in Nashville TN. He was originally scheduled to speak there on May 3, 2010, but Nashville was hit by a devastating 500-year flood. It was the first time in the University’s history that classes were cancelled due to rain. David Mathison spoke to the Introduction to Broadcasting Media and Advanced Radio Production classes taught by Professor Winston Mitchell at Medgar Evers College on February 28, 2011. The classes provide students with a background to television and radio broadcasting and teach them the tools they need to create and produce material. The Advanced Radio Production class requires students to be involved in radio production on campus which allows them to get a hands on experience to prepare for the real world. David Mathison gave the students an inside view of how he uses Publicity and Public Relations in his business. He provided details about HomeAid, the world's largest, vitural, carbon-free benefit event to help keep families in their homes. Mathsion talked about how he runs his camagin, came up with the idea, and was able to get Ken Kragen to join the team. NEW YORK – February 23, 2011 – Ken Kragen has signed on with HomeAid, a virtual benefit event to help America’s homeless families, children, and veterans, to be held November, 2012 in New York during National Hunger and Homelessness Awareness Week. Kragen joins media company Be The Media in developing strategies and helping to secure talent and sponsors for the groundbreaking Home Aid event. He organized Michael Jackson, Lionel Richie, Stevie Wonder, and more than 40 other artists to create the group USA for Africa. The charity song they recorded, ‘We Are the World,’ became the biggest selling single of all time and a top-selling album, raising over $64 million for humanitarian aid in Africa and the United States. ‘Hands Across America’ added another $34 million to that total. Now Kragen is enlisting artists to contribute video and live performances to appear on the Home Aid.net website. Funds raised from the event will go to Home Aid and other nonprofits that fight homelessness and help those who are homeless due to natural disasters. “I’m honored to be working with the legendary Ken Kragen on this historic event, especially considering that over 95% of the acts he managed have become superstars, and 90% of the projects he created and spearheaded have achieved success,” said David Mathison, CEO of Be The Media. While teaming up with Kragen will help Home Aid secure major celebrities and performers, the producers expect much of the event to be driven by grassroots fan participation. The event’s official website, www.HomeAid.net, has many ways for people to participate and help out. Individuals can use the site to host live internet “House Parties” to raise awareness and solicit donations. They can also upload videos that will be part of the Home Aid event, and soon will be able to download a mobile application for their Android or iPhone. On February 28, 2011, Mathison will be speaking at Belmont University’s New Century Journalism Program in Nashville, TN, and then meeting with Home Aid celebrities and sponsors at the Country Radio Broadcasters conference. Mathison was originally scheduled to speak at Belmont University on May 3, 2010, but cancelled when Nashville was hit with a 500-year flood. This tragedy partly inspired him to found Home Aid to benefit the homeless and Americans who are affected by natural disasters. Home Aid America is a leading national non-profit provider of housing for today's homeless. The organization builds and maintains shelters where homeless families and individuals, more than one million of whom are children, can rebuild their lives. Founded in 1989 by the Building Industry Association of Southern California (BIA/SC), an affiliate of the National Association of Home Builders (NAHB), Home Aid has now completed more than 200 homeless shelters nationwide costing in excess of $170 million of which approximately 50 percent has been donated by the building industry. More than 100,000 Americans have been given the opportunity to rebuild their lives in Home Aid facilities. Be The Media helps celebrities and businesses spread the buzz about their work. David Mathison was a guest speaker for a Writing for the Electronic Media at PACE University on February 10, 2011. 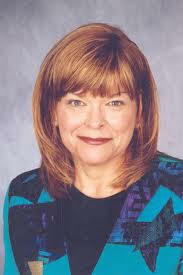 The class provides real life stories and hands on training to students who want to fulfill careers in electronic media. It also teaches the types of concepts and techniques that are used in today's production of radio and television media. David Mathison talked to the students about Public Relations and Publicity. He also helped the class with designing media campaigns that included press releases and television advertising. New York, NY, January 11, 2011 - National nonprofit organization HomeAid has signed an agreement with diversified media company Be The Media to host a virtual benefit event to help keep families in their homes, to be held in November 2012 during National Hunger and Homelessness Awareness Week. Celebrities, artisits, and performers from across the courntry are contributing exclusive video content that will be streamed on the HomeAid.net website. Since sponsors will cover the costs of the event, 100% of donations raised will go to HomeAid and other nonprofits that fight homelessness. Be The Media University is happy to announce an online webinar class on Facebook with Jason Deitch and David Mathison on Tuesday, December 7th! Enroll now to learn how to make Facebook a profitable part of your business and brand, AND we will register you for the prestigious Publicity Panel for free. Jason Deitch is the founder of Fan Page Generator. He has been following the social networking phenomenon, specifically Facebook since 2005 when his wife became Facebook’s first Director of Marketing. Jason has passionately studied the evolution of Facebook’s social graph and its’ implications for businesses to use as an appropriate and effective marketing tool. Click to enroll now for only $149! If you want to take your social media presence to the next level, now is the time. Social media has become an integral part of business and promotion. Whether you are an entrepreneur, a small business owner, an independent artist, or work for an organization/non-profit… you know opportunities are passing you by every day if you don’t have a real plan for dealing with social media. It’s not too late to jump into the social media game – especially with successful online experts to show you exactly how it’s done. These classes are perfect for beginner, intermediate, and advanced user alike. PS: HERE IS YOUR FREE GIFT! Happy holidays from Be The Media! As our gift to you for enrolling in ANY of the social media courses, we will automatically reserve a seat for you in our Blockbuster Publicity Panel... a value of $149. We want to make sure you have absolutely all the tools you need to achieve publicity success. That's why we are including The Publicity Panel webinar FREE for anyone who enrolls in one or more of our social media classes. You will have a comprehensive education in new media AND learn the secrets to traditional publicity from six experienced media and publicity experts. But enroll NOW - because after December 7th the Publicity Panel will only be available for an enrollment cost of $149. Get access to SEVEN industry experts, a social media course on Facebook, and The Publicity Panel by enrolling now. In this interview, Janet Switzer reveals how anyone can turn their expertise or successful business model into a media empire spanning 52 different super-lucrative profit centers like books, seminars, professional speaking, licensing, consulting and more. How to repurpose your information products into higher value offerings, so you increase your earnings. Product Pricing Curve: The realpower behind building wealth online. How to apply the Product Pricing Curve to uncover hidden and potentially lucrative revenue streams (85-90% margin). Become the "go-to" expert: The simple yet amazingly effective method of leveraging your base to upsell personal coaching, mentoring, and consulting services – and be paid hundreds of dollars per hour. Become a product machine: from eBooks and podcasts, to live events and webinars - learn all the ways you can profit from the content and skills you already have. JANET SWITZER is the secret marketing weapon behind many of the biggest names you’ve heard of in the information p roducts field. She’s been the marketer of choice for Jack Canfield and Mark Victor Hansen’s Chicken Soup for the Soul media empire literally since the original book was first published in 1993. And she’s also been Jack and Mark’s personal go-to marketer for 17 years — helping them sell hundreds of thousands of dollars’ worth of their own high priced info-products, training programs, coaching, live events and more. Along the way, she’s helped experts like financial guru David Bach, business expert Jay Abraham, world-renowned motivational speaker Les Brown, Internet marketer Yanik Silver, Christian author Laurie Beth Jones, TFT tapping expert Dr. Roger Callahan and so many others. Janet speaks all over the world on how experts in any field can build an empire around their expertise — even while they’re still running their day-to-day business. She is the New York Times bestselling co-author with Jack Canfield of The Success Principles, which is also a bestseller internationally and is now in 26 languages. Her latest book Instant Income: Strategies That Bring In the Cash went to #1 within 48 hours of its release. In this discussion, we will show you how anyone can publish their work independently without the need fo one-sided contracts or deals. In this interview we talk to Mickey Huff, Executive Director of the Media Freedom Foundation and editor of Project Censored. We explore issues of elite media control and grassroots, global, digital empowerment. We analyze contracts from American Idol, the Oprah Winfrey Network (OWN), and a boilerplate publishing contract to show the importance of controlling your rights. This is the perfect interview for activists, authors, artists, journalists, filmmakers, musicians, and anyone with a message to share. Seth Godin recently called Kevin Kelly's new book, "What Technology Wants," the Book of the Year, and feels it deserves a Pulitzer prize. Hear more from Kevin in this exclusive interview, as David and Kevin explore how artists can make a living by finding and engaging with their TRUE FANS (customers, patrons, or friends). Find out why Kevin Kelly feels that "anyone producing works of art needs to acquire only 1,000 true fans to make a living." Learn how to find tens or hundreds of thousands of "lesser fans," and how to turn them into true fans. Learn how to get your true fans to purchase nearly anything and everything you produce. Fan funding: Explore real-world examples of artists using micropatronage to create your next business, book, music, film, or fund your favorite cause. Hear how musician Jill Sobule raised $89,000 in just two months from her web site to create her new album - all from fan donations. Why having a DIRECT relationship with your true fans is critical, and what tools you can use to DO JUST THAT. Learn how to apply the True Fans model, using real-world case studies and best practices. and master the art of "BEING" the media. Be The BOSS: Enroll in our Blockbuster Online Success Seminar! "Kevin's book could be sketchily summarized in fifteen or twenty blog posts, and I'm tempted to do so, but I think you should do the more direct thing and just read it. That way, as I steal from it again and again going forward, you'll nod your head in recognition of the power of what he's writing about. Hint: it's as good as Guns, Germs and Steel, which I consider one of the most important big-thought books ever." I disagree slightly with Seth - it's not the book of the year, it's more like the book of the decade, or century. That's because renaissances don't happen very often, but when they do, they span hundreds of years, and their impact is felt for millennia. Like Douglas Rushkoff and Karen Armstrong, Kelly argues that we are in a renaissance period - a neo-axial age - full of creative opportunities afforded by the technology that now permeates our lives. And further, our renaissance is less about the individual, and more about the collective community - a globally connected network of people interdependently collaborating together to create our shared present and future. For those who've read my book or heard me speak - from the United Nations (3 times this year alone) to the US Embassy, from Columbia University to the University of Missouri School of Journalism - I've been saying the same thing: our neo-axial age and the technology that enables it gives EVERYONE the chance to "be the media." We live in unprecedented times! I'm also excited to annouce that Kevin will be our special guest on a FREE preview call for our Blockbuster Online Success Seminar (Boss) on Thursday, Oct 21 at 8pmET / 5pmPT. His topic is focused on his viral blog post, 1,000 True Fans, which Kevin let us use as the Foreword to Be The Media! This NOVEMBER: Learn how to make a living doing what YOU love, on your time, from your own home – all from the industry’s leading experts. Janet Switzer has been the 'secret weapon' behind many of the world's best-known authors, speakers and celebrity experts - Chicken Soup for the Soul® co-founder Jack Canfield, Automatic Millionaire author David Bach, underground marketing guru Jay Abraham, and The One Minute Millionaire author Mark Victor Hansen, among others. Janet helps experts attain worldwide status and million-dollar incomes by building publishing empires around their business strategies, training concepts, industry expertise and unique market posture. Her multi-media short-course How Experts Build Empires:The Step-By-Step System for Turning Your Expertise Into Super-Lucrative Profit Centers is the industry's definitive work on the subject of developing and marketing information products. Today's guest is NY Times bestselling author Joel Comm. In this episode, Joel teaches you how to start and run your own online business that pays and pays. Joel Comm is a NY Times bestselling author, new media innovator, and entrepreneur who has been online for over 20 years. In 1995, Joel launched WorldVillage.com, a family-friendly portal to the web which enjoys thousands of visitors each day. Joel is the co-creator of ClassicGames.com, which was acquired by Yahoo! in 1997, and now goes by the name Yahoo! Games. Since then, Joel's company, InfoMedia, Inc., has launched dozens of web sites which offer online shopping, free stuff, website reviews and more. Joel is the author of many popular books, including the NY Times Best-Seller, The AdSense Code and Twitter Power: How to Dominate Your Market One Tweet At a Time. His most recent book is KaChing: How to Run An Online Business That Pays and Pays, which teaches people how to build their own online business. Joel is an in-demand public speaker who leaves his audience inspired, entertained, and armed with strategic tools to create a new media campaign that will explode their business. Blockbuster Online Success Series (BOSS 2010). How to grow your brand with Mobile Web Sites and Applications. Thursday November 4 starting at 8pmET/5pmPT. Today's guest is bestselling author Kevin Kelly, whose new book is titled What Technology Wants. We're excited to have been one of the first interviews Kevin has granted regarding his new book! Kelly's new book introduces a provocative view of technology, comparing it to a living, evolving organism that has its own unconscious needs and tendencies - even a drive towards sentience. In his attempts to discover "what it wants," Kelly uses examples from the past, and then forecasts into the near future to project where technology is headed. The book is an optimistic look at how humanity and technology join together to produce increasing opportunities. Kevin is also author of the best-selling New Rules for the New Economy, and the classic book on decentralized emergent systems Out of Control. 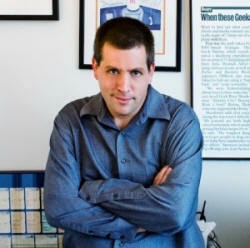 His writing has appeared in the NY Times, the Economist, Time, Harpers, Science, and Esquire. Kevin is Senior Maverick and Editor-at-Large for Wired magazine. 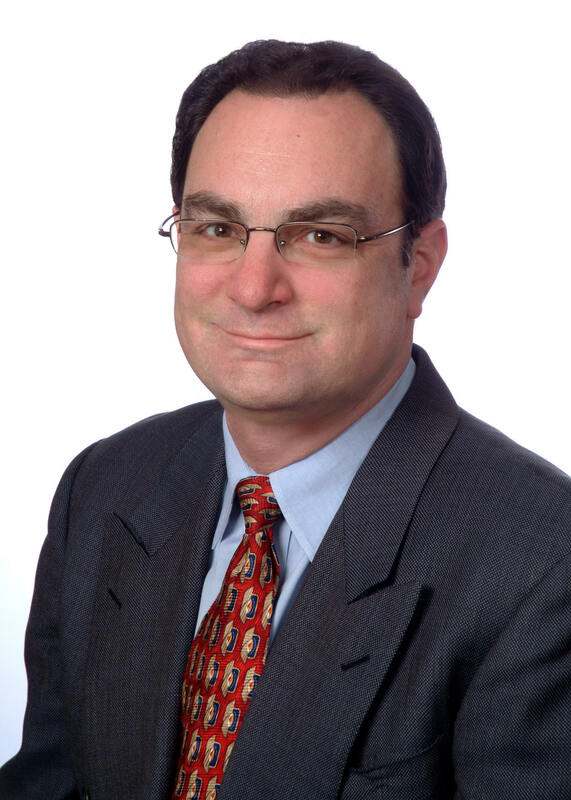 He helped launch Wired in 1993, and was its Executive Editor until January 1999. He is publisher of the Cool Tools website, which gets 1 million unique visitors per month. From 1984-1990 Kelly was publisher and editor of the Whole Earth Review, and oversaw publishing 4 versions of the Whole Earth Catalogs. Kevin kicks off this new webinar series to discuss his viral blog post, 1,000 True Fans. Thursday October 21 starting at 8pmET/5pmPT. 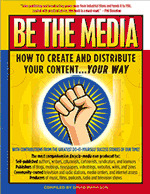 Congratulations Be The Media, rated one of the TOP 100 Best Small Business Podcasts for 2010! Other winners of this prestigious award include podcasts from the Wall Street Journal, the New York Times, the Economist, TIME, CNN Money, Business Week, Kiplinger, Ernst & Young, the BBC, Leo Laporte, and Robert Scoble. Be The Media's radio show is rapidly climbing the charts. Even BlogTalkRadio is talking about it! Be The Media airs live on Wednesdays at 5pm ET. Can YOUR Business make the world a better place? Can you improve the earth, your profits, and your customer base all at the same time? Shel Horowitz says YES: "It’s grounded in integrity, in caring about yourself AND in caring about others and the world around you—and it’s the fast track to business success in the 21st century." Making your business Green can slash costs and provide a powerful “hot button” leverage point for your marketing. Faking a Green commitment (“greenwashing”) could destroy what you’ve worked so hard to build. You can create powerful partnerships that bring you directly in front of new and key audiences, at little or no cost — even competitors can be part of your success! When you treat the prospect as intelligent, base your business on ethics, and actually anticipate those prospects’ needs, your growth can be exponential. If you use old-style interruption-oriented marketing that insults your prospects, you’re writing a recipe for failure. The conversations you create and the experiences people have with you are more important than any amount of traditional branding or advertising. Shel Horowitz has been involved in environmental and social change movements his whole life. In 1972, at age 15, he was involved in a community group that opposed a nuclear power plant proposed for two miles north of New York City. A veteran of the 1977 Seabrook occupation, his first book, written when he was only 22, was about why nuclear power makes no sense. Join us and find out how you can save the planet, increase your customer base, and earn more revenues - all at the same time! For librari es all over the country, it's National Library Week, an annual celebration of the contributions of our nation's libraries and librarians. April is also School Library Month, the American Association of School Librarians' celebration of school librarians and their programs. "More than 35,000 academic librarians and faculty rely on the reviews in Choice for collection development and scholarly research. Choice reaches almost every undergraduate college and university library in the US. Choice publishes nearly 7,000 reviews annually. Written by teaching faculty and academic librarians, Choice reviews are generally the first professional post-publication comment on new scholarly works." “Prior to the 21st century, the path to garnering or generating publicity and media awareness for a product or service was laborious and cost-prohibitive for many. The encyclopedic volume Be the Media seeks to identify the plethora of millennial electronic media outlets available, and put them into the hands of entrepreneurs, self-publishers, and anyone outside the mainstream who is seeking media access. Persons who are unable to hire a music producer, publisher, or media professional may use this volume to navigate the new media environment. The book includes submissions from academics, writers, consultants, and syndicators. The first part, "The Personal Media Renaissance," is a how-to guide that helps readers navigate the world of radio, music, podcasting, videos, and film. Following this is "The Community Media Renaissance," which reviews public access, social networks, open source, and community radio. Practitioners, students, and others who are not afraid of hard work will find these articles inspiring and informative. Why not support quality education in your community by taking a book from your shelf and donating it to your local public, high school, or university library? Or better yet, buy a copy of Be The Media through the link below, and donate it to your local library - they'll love you for it! "Earning an income from your experience and abilities can be daunting – especially when corporate gatekeepers are tightening their financial belts and turning a deaf ear to your voice. That's why the Long Island Breakfast Club is happy to announce "Be The Media," a presentation by speaker and author David Mathison on how you can earn a living by getting your work out there independently. This special event takes place on Saturday, August 21st at 9:00 am at The Inn at New Hyde Park. If you want to earn an income from your skills as an entrepreneur, small-business owner, writer, musician, filmmaker, journalist, activist, or speaker, you now have a platform to do so. And you don't need a major media company, restrictive contract, or full time schedule to do it. Mathison will show how today's media renaissance gives you the power to publish your work, self-promote it online, and then earn or supplement an income. The painful process of looking for work is eased by joining the spirited group of the Long Island Breakfast Club. They Meet, They Eat and They Seek! FEEL YOUR OATS NOT YOUR FLAKES! You've had dozens of interviews for jobs you would take as a gift. You've seen a career counselor to validate your strategy. You've followed the best advice culled from recent job-hunting venues! Net Result: The process, especially lead generation is too slow. One person however motivated can turn up only one lead at a time when it comes to job hunting, business leads or contacts. You are feeling like you will lose your mind! Stress No More!" "Ideas don't go viral on their own, It takes a community." 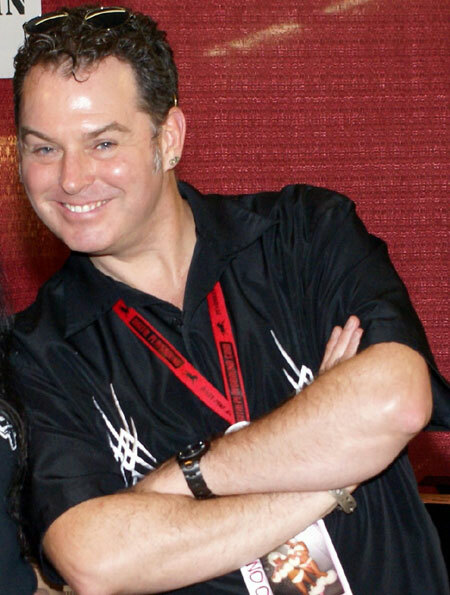 David Mathison was featured in a host profile on BlogTalkRadio on June 1st, 2010. Below is the article and interview. "As we all know, the media landscape is changing at breakneck speed. And if you're an entrepreneur, inventor, musician, actor, artist, journalist politician - anyone with a story to tell, really - you need to consider how to deliver your message with the most impact within this new environment. It helps to have an advocate like Dave Mathison, host of BTR's Be The Media, to cut through the fluff and give it to us straight. David Mathison is a media consultant, entrepreneur, author, publisher and speaker who has lectured internationally. On his show, Dave interviews successful people from all walks of life about how to increase revenue, build audience, and spread a message. "That was a January 2010 interview with marketer/author/speaker Seth Godin and author Scott Stratten. It was a popular show because both guests gave great, insightful tips on how to spread ideas and messages virally." "The one thing I encourage in every show is for people to link, comment and share! Ideas don't go viral on their own. It takes a community." Learn more about the Be The Media show here." David Mathison's book Be The Media was mentioned in an article "Flyover at the Macondo Wellhead: Damage Control at 'The Source'" in The Huffington Post written by Georgianne Nienaber. "Carrick videoed hundreds of feet of oiled orange deflective boom that was piled on breakwaters, unattended, and birds were perching in the mess. After her flight Carrick and I communicated on Facebook, and I think one of the huge social networking stories will be how ordinary people, concerned about the Gulf, connected through this medium. I think David Mathison might do well to add a chapter to his book, "Be the Media," about this phenomenon."